Hey Adventure Lover! Tales from the Banana Trail is now accepting guest posts. 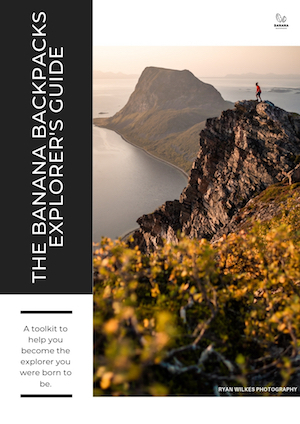 Tales from the Banana Trail is comprised of 3 sections: Explore, Educate, and Equip. Take a look at the sections and the posts within them and decide which section you think your post would have a home in. Explore can be comprehensive guides or first-person travel accounts. Anything that makes the reader say, “I NEED to check that out” or “what a cool travel experience” or even “that was quite a strange travel experience”. These posts can be humorous, listicles or have a more serious tone. Educate is our section for learning and becoming a better informed traveler. Think cultural tips, shedding light on social and environmental problems caused by travel and how they can be remedied, and providing thought-provoking and change-making articles that allow the reader to walk away with a new piece of insight. * Hint: We’re looking to bolster this section = it’s more likely we’ll accept pitches relevant to this area. Equip includes posts that provide information to pack smarter, travel longer, and adventure more easily. This can include reviews about must-have travel products that promote something worthwhile and extend a positive impact either culturally or environmentally. Send us a pitch in a couple of paragraphs to submissions@bananabackpacks.com and give us the scoop on your amazing posts! Google your topic first. If it’s teeming with posts, consider writing about something a little more off the Google beaten path. We like our posts on the lengthy side. This isn’t a university paper where you need to sit for an hour trying to find an extra 25 words, but generally we like to follow a 1000 word minimum. If you have 5000 words in you, that’s cool too, but be sure to make the length worthwhile. Let us know about photos. Do you have accompanying pics for the post? Tell us about you. Aside from getting paid, why would you like to share your story with the world? Send us a link (no attachments please) of your previous work. If you haven’t written for a major publication before, send us a copy of your work from your blog, a university paper, or a letter you penned to your mom. Ultimately, we’re looking for quality over accolades/ contrived social proof. Show me the money: If we accept your pitch, we’ll happily pay $100 USD on completion.